Category Archives for "Shark Tank Sharks"
Mentioned already on this site, Scrub Daddy must again be discussed as it is, without a doubt, one of Lori Greiner’s best investments to come out of Shark Tank. In fact, Scrub Daddy is one of the greatest Shark Tank success stories in general. A clever sponge for cleaning cooking utensils, Greiner made a deal with founder Aaron Krause during Season 4, investing $200,000 in exchange for a 20% stake of the business. To date, Scrub Daddy has brought in roughly $141 million retail sales. Greiner herself sold over 2 million sponges in one day on QVC, proving once again why she deserves the title “QVC Queen”. In mid-2017, during Season 8 of Shark Tank, entrepreneur and self-taught inventor Tara Brown presented her idea for The Sleep Styler. The Sleep Styler is a hair care product which allows the user to go to bed with wet hair and wake with perfectly styled curls in the morning. Within a record 20 minutes of entering the Shark Tank, Brown and Greiner had struck a deal – $75,000 investment for a 25% stake in the business. Greiner saw a great marketable opportunity, saying “I felt this would be a perfect infomercial product and that I could shoot a test for a two-minute spot quickly and, if successful, I could take a lot of the work off Tara’s hands.” This is exactly what happened. After getting on board with Greiner, The Sleep Styler made $100 million in retail sales in 6 months. Very simply, the patented Drop Stop prevents items such as coins or keys falling into the dreaded “carmuda triangle”, the area beside your seat where items are prone to fall and impossible to recover. In Season 4, Greiner struck a deal with the company’s founders, Marc Newburger & Jeffrey Simon, for a $300,000 investment, in exchange for a 20% equity stake. Greiner’s magic touch struck again and, since appearing on the show, Drop Stop has gone on to make a whopping $25 million in sales. CordaRoy’s Convertible Beanbags were presented to the Sharks in Season 4 by Byron Young. This really clever product had Lori Greiner’s name stamped all over it, and is one of those items that you can’t believe nobody thought of before. These comfortable beanbag chairs convert into a full-sized bed and are a perfect addition to the home. For a 58% equity stake, Greiner made a deal to invest $200,000 in the company. On its first appearance on QVC, CordaRoy’s Convertible Beanbags sold out. They have continued to sell incredibly successfully, and have gone on to make over $4.2 million in sales in four years. Stanford engineering graduates Alice Brooks and Bettina Chen had a mission to empower young girls and promote technical and engineering skills in a fun way. They developed Roominate, and took their line of toys to the Shark Tank during Season 6. Lori Greiner, along with Mark Cuban, offered to invest in this wonderful product, as both felt it was so much more than just a range of toys. The purpose of helping young girls develop a love for math, science, engineering, and technology would encourage them to gain access to currently quite male-dominated fields. Both Sharks happily offered the requested $500,000 investment for a mere 5% equity. Roominate went on to make over $4.5 million in sales and continues its mission of bringing science and engineer toys to girls. Stephen Hersh brought the idea for foldable luggage to the Sharks in Season 6 when he was looking for a $500,000 investment for 33% equity in his company. His business, Biaggi, was struggling under debts and Hersh was in the process of selling it when he appeared on the show in 2014. Whilst the business was not in the best of health, the product, however, was sound. Both Lori Greiner and Daymond John made an offer. Upon consideration though, John backed out, admitting to the entrepreneur that Greiner would be a better fit for his company. He was right. Greiner held their first sale on QVC after the airing of the Shark Tank episode, selling 6,000 bags in eight minutes. Hersh has said that they continue to sell approximately $20,000 worth of bags per minute on each of their monthly QVC appearances. In a modern world, where living space is limited, Jared Aller and Beau Oyler took their innovative idea to the Sharks in Season 4. Urbio were magnetic modular-style wall compartments, for urban gardening and small space organization. They were stylish and reasonably priced, and were exactly the type of clever and inventive product that Lori Greiner loved. After a heated battle amongst the Sharks, the entrepreneurial couple decided to make a deal with Greiner, knowing that her QVC connection would be an ideal outlet for their product. They accepted a $300,000 investment for 15% equity in the company. Since then, Urbio is stocked in many large retail chains across the US, features regularly on QVC selling thousands of units each time, and have widely expanded their product range. The range of cleaning products made by Better Life are eco-friendly, child and pet safe, and are just as effective as the more harsh cleaning chemicals available on the market. 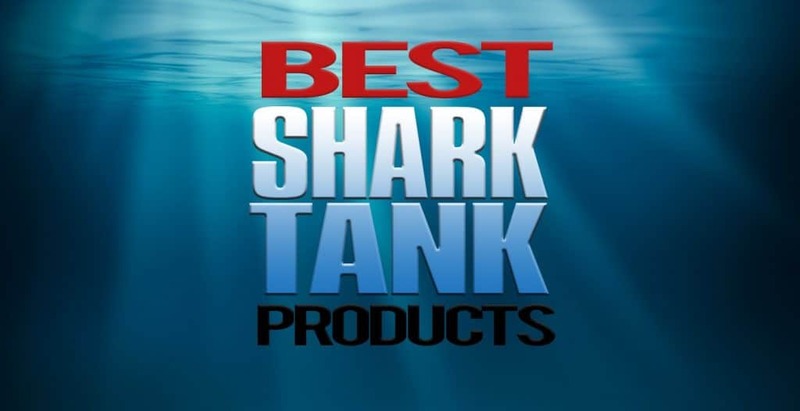 During Season 5, Kevin Tibbs and Tim Barklage brought their product line to Shark Tank and impressed all five Sharks. In another example where Greiner was specifically chosen by the entrepreneurs, all five Sharks made an offer to the entrepreneurial duo. They accepted Greiner’s offer of a $400,000 investment for a 17% stake. This would drop to 7% once the investment was repaid. With Greiner’s help, Better Life products have since made it onto the shelves of Target and Walgreens, are available in Whole Foods, Crate and Barrel, Bristol Markets, and have a wide selection of products for sale on Amazon. Better Life have also recently invested in sustainable energy sources for their manufacturing process, by installing solar panels on their plant in St. Louis. Another cleaning innovation, this device uses a UV-C lamp to clean your phone whilst charging it simultaneously. It kills 99.99% of bacteria and will fully disinfect your phone within 5 minutes. Founders Dan Barnes and Wesley LaPorte successfully pitched their product in Season 6, which led to a deal with Lori Greiner for 10% of their company in return for a $300,000 investment. PhoneSoap was immediately popular after its appearance on the show. Quickly, the company partnered with QVC, selling 100,000 units in the year after their Shark Tank episode aired, with annual sales continually growing. They have also since closed a deal to stock their product in Bed, Bath & Beyond. With Greiner’s help, this company’s successes are set to continue. Ten Thirty One Productions made Shark Tank history when they appeared on Season 5 of the show. The company, founded by Melissa Carbone, produces live horror experiences, such as the Los Angeles Haunted Hayride. Cuban saw the potential in the business model, and its adaptability to other markets, and offered a record-breaking $2 million investment deal for a 20% stake in the business. Since the show, Ten Thirty One Productions, now employing over 500 people, have expanded their shows and host events in cities across the United States. By 2014 the company hit their goal of reaching $3 million in gross revenue. Mark Cuban has since gone on to say that his deal with Ten Thirty One Productions was the most profitable one he ever made on Shark Tank. Season 5 proved to be a season of huge investment deals. This trend continued when Rob Dickens and Brad Scudder brought their idea for an extreme 5K obstacle course to the Sharks, named the Rugged Maniac Obstacle Race. After a successful pitch, Mark Cuban offered a staggering $1.75 million investment deal in exchange for 25% of the company, making it the second largest investment on the show. Cuban’s investment has allowed the pair to take their Rugged Maniac Obstacle Race to 28 cities across the US, reaching sales of $10.5 million in one year. By mid-2017, the company had moved into its permanent HQ and said growth has been explosive since Shark Tank. Mark Cuban’s fifth most expensive investment on Shark Tank came in Season 6 when Diana and Josh Harbour presented The Red Dress Boutique. Their company not only sold clothing and accessories online, they offered complete outfits through a successful Instagram feed and social media presence. When they appeared on the show, their company was already a profitable venture, on track to make over $12 million in annual revenue. This was an opportunity too good to miss for Cuban. Initially, he teamed up with fellow Shark Robert Herjavec to invest $1.2 million for a 20% stake in the business. Since the show, Cuban went on to finalize a deal alone for a $600,000 investment and a 15% equity stake in return. Within 5 days of the episode airing, The Red Dress Boutique made $1 million in sales. They have featured several times on Beyond the Tank to detail the companies continued successes as they invest a lot of profits back into marketing and development. This quirky product featured on Shark Tank in 2014, when three entrepreneurs, Justin Fenchel, Brad Schultz and Aimy Steadman, presented their idea for a “party in a box”. BeatBox Beverages make unusual but tasty flavors of wine served up in neon packaging styled like an old-school “beat box”. The trio requested an investment of $200,000 for a 10% stake in the business. However, the Sharks, all loving the brand, hotly began outbidding each other. The winner was Mark Cuban, who agreed upon a staggering $1 million investment deal for 33% of the company. Sales have soared since their appearance on the show. They used the Shark investment and expertise to expand their distribution and launch a single-serving option, the BeatBox MixTape. Sales have increased to over $2 million and the company is looking into developing global brand recognition. In 2012, Stephan Aarstol nearly blew his big opportunity when he appeared on Season 3 of Shark Tank. When his presentation slides suffered some technical issues, Aarstol not only stammered and stumbled, he went on to remain silent for a full minute in a frozen panic. Barbara Corcoran said it was the worst presented pitch she had ever seen on the show. Luckily for Aarstol, Mark Cuban saw an opportunity in Tower Paddle Boards, an SEO-driven eCommerce business selling stand-up paddle boards and accessories. Cuban struck a deal with the nervous entrepreneur for a $150,000 investment in return for a 30% stake. Within 120 days of receiving their investment, Tower Paddle Boards paid Cuban his first dividend check for $50,000. The company has gone on to make over $10 million in annual revenue. When Slyde Handboards appeared on Season 7 of Shark Tank, co-founder Angela and Steve Watts had no idea they would become forerunners in pioneering new ways to bodysurf. After their pitch, several Sharks were put off by the low sales numbers the couple reported, after having invested their life savings in the project. However, Mark Cuban recalled his successes with Tower Paddle Boards and teamed up with guest Shark Ashton Kutcher to make a deal to invest $200,000 for 22% equity. Since their episode aired in 2015, Slyde Handboards have developed a product line of handboards, and are growing in popularity and gaining market dominance. In 2016, Watts told Business Insider that the Sharks are a continued source of mentoring. “Ashton and his team are social media wizards…and Mark and his team have brought a level of business knowledge to our team that any Fortune 500 company would kill for. After getting a perfect score on his SATs, Shaan Patel couldn’t believe the opportunities which were suddenly open to him, from top university admissions to hundreds of thousands of dollars worth of scholarships. He even met the President of the United States. This led him to begin PrepExpert, where he gave classes on SAT preparation, and his students all benefitted from a jump of about 300-400 points in their SAT scores. In Season 7, Prep Expert was presented to the Sharks and Mark Cuban offered an investment of $250,000 for 20% equity in the business. Since then, PrepExpert offers online courses, in-person classes in over 10 cities across the US, and generated nearly $10 million in revenue in less than two years. Herjavec partnered with Mark Cuban and Nuts ‘N More received a $250,000 investment for 35% of the company. The company went on to make over $1 million in revenue the year their Shark Tank episode aired, which climbed to over $5 million the following year. In 2013, during Season 5 of Shark Tank, husband and wife team Melissa and Rick Hinnant presented Grace and Lace, and their gorgeous frilly leg warmers. Barbara Corcoran loved the fashion company and offered a $175,000 investment for 10% of the business. Grace and Lace made $1 million in sales within five days of appearing on the show. And after a feature in Cosmopolitan magazine, Grace and Lace made approx $6.5 million in 2015. This grew to over $15 million by the end of 2016. Senate Hill staffers Brett Thompson and Heath Hall began their business, Pork Barrel BBQ, when they ordered bland take away food while working late and found themselves craving barbeque ribs like “back home” in Missouri. They subsequently developed their range of BBQ sauces, dips, and rubbing herbs and spices, of which Barbara Corcoran took a 50% stake for a $50,000 investment, back in Season 1. Since appearing on Shark Tank in 2009, Pork Barrel BBQ has grown successfully. They went on to make $4.1 million in revenue in the year after airing, and by mid-2015 had generated over $10 million in sales. Cousins Sabin Lomac and Jim Tselikis appeared before the Sharks during Season 4 of the show. Their business was a high-end food truck, which served fresh lobster in a variety of styles. Like the cousins, Corcoran saw the gap in the market and made a deal them, investing $55,000 in exchange for 15% of their company. Since their appearance on Shark Tank, the company has grown quickly, bringing in over $8 million in revenue in 2014. Today they have around 20 food trucks, a restaurant in West Hollywood, California, and an online distribution which serves the entire United States. Daisy Cakes is an online bakery set up by Kim Nelson in 2009. In 2011, she took the idea to the Shark Tank. A skilled baker, Nelson’s cakes were a hit and received a $50,000 investment from Barbara Corcoran for 25% equity in the business. Daisy Cakes exploded in popularity after appearing on Season 2 of the show. However, as each cake is made by hand, with love, by Nelson there is only so much one person can do. So she is now also considering franchise options for her business. Incredibly though, by the end of 2015, the company had brought in over $1.1 million in revenue, which had grown to $5 million by mid-2017. The company Pipcorn, offering gourmet mini-popcorn packs, was the brainchild of siblings Jennifer and Jeff Martin from Brooklyn, New York. Featuring flavors such as truffle or organic butter ghee, Pipcorn delighted the Sharks in Season 6, especially Barbara Corcoran. The Shark made a deal with the duo, handing over a $200,000 investment for 10% of the business. In the year since their 2014 Shark Tank appearance, they had generated $2.4 million in revenue, which totaled over $3 million by the end of 2015. Already discussed on this site, Buggybeds was a product which received investment from all five Sharks present. The product is an early detection and prevention system for bed bugs. For a five way split of a $250,000 investment for 25% equity, the company went on to have sales of over $1.2 million in the year after the Shark Tank pitch. Ava the Elephant appeared on the very first episode of Shark Tank back in 2009. The idea was beautifully innovative. Invented by Tiffany Krumins, Ava the Elephant is a cute, talking medicine dispenser for babies and small children. For $50,000, Corcoran invested in the company, in return receiving a 50% stake. In the year since the Season 1 episode aired, the brand made $1 million in revenue and has developed a range of innovative tools that administer medication to little ones, and are now even available in hospitals across the US. In what was the largest Shark Tank investment to date, Zipz successfully pitched their idea for single serving wines in recyclable, glass-like stemware to Kevin O’Leary. Zipz glass is a patented design, engineered in a certain way to allow for a longer shelf life. O’Leary saw great potential, not only in the direct market, but also within the hospitality industry. In an incredible move, he agreed to give the $2.5 million investment that founder Andrew McMurray was requesting. This acquired O’Leary a mere 10% stake in the business. Since the show, Zipz has grown exponentially. Their product development has continued, having recently patented CleanWrapTM technology, and they have interests in setting up bottling in Europe and Latin America. Within 16 months of the Season 6 episode, Zipz landed a major licensing deal with Fetzer Vineyards who stock six Major League Baseball stadiums. Tracey Noonan and Dani Vilagie were the mother-daughter team that took Wicked Good Cupcakes to the Shark Tank in Season 4. The pair were requesting a $75,000 investment for a 20% equity stake in the company. What started as a way to spend quality time together, their cake decorating skill was turned into a business when they started Wicked Good Cupcakes, single decorated cupcakes in a glass jar. Kevin O’Leary liked what he saw and offered the investment money. However, he did not ask for a share of the business in return. Instead, O’Leary negotiated a $1 royalty on every item sold until he made his investment back, which he did within 74 days of the show, and a $0.45 royalty thereafter. Wicked Good Cupcakes have sold over $14 million worth of tasty treats since their appearance on Shark Tank. By the end of 2017, they were in negotiations with Universal Parks & Resorts and The Walt Disney Co. to sell the cupcakes in their resorts, cruise ships, and theme parks. Noonan has her sights set on her first personal milestone, Wicked Good Cupcakes making $25 million in sales in a year. In Season 5, husband-and-wife team Julie and Brian Whiteman pitched their idea for GrooveBook to the Sharks. GrooveBook, founded in 2012, is a smart mobile app which allows subscribers to upload hundreds of their smartphone photos and receive a physical “photobook” in the mail each month. The couple confidently pitched GrooveBook, which amazingly only cost $2.99 per month. The idea was very positively received by the Sharks. Several Sharks made offers. However, it was powerful duo Kevin O’Leary and Mark Cuban that the couple chose to make a deal with. O’Leary and Cuban gave a $150,000 investment in return for a whopping 80% of the licensing rights. In 2014, GrooveBook was bought by Shutterfly for $14.5 million. Bombas, founded in 2013, was exactly the type of company Daymond John would invest in. One may presume it was because Bombas was a sock manufacturer and would appeal to John’s fashion industry loving side. However, John has been widely known to speak of the importance of a positive social impact when running a company. Therefore, it was the Bombas moral conscience as a company that enticed Shark Daymond John when it was featured in Season 6 of Shark Tank. For every pair of Bombas socks purchased, the company would donate a pair of socks to a homeless shelter in the United States. Because of this, John was sold on the idea. For a $200,000 investment in the business, John attained a 17.5% stake. From that moment, the brand of Bombas exploded. In a wonderful balancing of our combined moral conscience, Bombas had made approximately $12 million in sales in the first nine months since appearing on the show. Bombas is now estimated to be worth more than $50 million. Sun-Staches were a quirky and novel idea. David Levich, Eric Liberman, and Dan Gershon took their seemingly silly concept for novelty sunglasses with attached decorations, such as a dangling moustache, to the Sharks in Season 6. Shark Daymond John saw past the oddity of the idea and offered $300,000 for 20% equity in Sun-Staches. They launched with a bang. Within four months, the company had made more than $4.1 million worth of sales. Towards end of 2017, they were estimated to have made over $20 million in sales. According to a recent Shark Tank update, Sun-Staches has landed a licensing deal with Marvel to make character-themed sunglasses. When Brian Lim appeared on Shark Tank in Season 6 to pitch EmazingLights, the Sharks grilled him on why he deserved a $650,000 investment for only 5% of the business. The Sharks saw great potential in Lim’s EmazingLights, a set of light-up LED gloves, for use at festivals and raves. Four Sharks began negotiations with Lim for a stake in EmazingLights. Lori Greiner, Robert Herjavec, Mark Cuban and Daymond John had all made impressive offers. However, Lim said it was not about the money but the value of the Shark’s know-how. With that in mind, Lim chose to do the deal with Daymond John. In 2016, EmazingLights made an incredible $17 million in sales. With grudging consent, former NFL star Al “Bubba” Baker allowed his daughter to fill out his Shark Tank application. In Season 5, Bubba’s Q Boneless Baby Back Ribs were pitched to the Sharks and this “mom and pop” business became one of the greatest Shark Tank success stories. For a $300,000 investment, Daymond John acquired a 30% equity stake in the business. Until this point, Bubba’s Q was making about $154,000 in annual sales. Since joining forces with John, the company’s sales had risen to $16 million by 2017. In Season 4, another business was able to benefit from Daymond John’s desire to reward companies with a positive social impact. Mission Belt, which manufactured ratchet belts that operate with a release lever and not holes, committed to putting $1 from every sale into a fund which would provide small-business loans in more than 80 developing countries. John loved the idea and offered a $50,000 investment for a 37.5% share of the company. Since appearing on Shark Tank, Mission Belts has gone on to make over $8.2 million in sales, which has led to more than $1.5 million in funds being lent to small business borrowers. The most expensive retail product to ever appear on the show, the virtual pinball machines made by VPcabs cost as much as $9,000 each. When pitched by founder Brad Baker on Season 7 of Shark Tank, VPcabs withstood the Shark’s scrutiny. Daymond John offered $200,000 investment for a 25% share of the company, which until now had made just under $400,000 in sales. Now, with John’s investment and guidance, profits in VPcabs have jumped to over $1 million. In Season 5, Moziah Bridges presented his idea for Mo’s Bows, which produced handmade bowties, to the Shark Tank. The business was founded by Bridges when he was nine years old, and now, at the ripe old age of 11, he was offering the Sharks 20% of his company for a £50,000 investment. Bridges impressed the set of tycoons. However, in an unusual turn of events, Daymond John spoke up telling the young entrepreneur not to make any deals with the Sharks that day. He instead said that he would mentor young Bridges for free. He referenced a time in 1989 when he declined an offer of $10,000 for a 40% stake in FUBU. With John’s mentoring, Mo’s Bows has since entered a profitable licensing partnership with the NBA.